Anxiety is the principal affect of today’s competitive life. Everybody wants to attain good results in quick time. This brings loads of stress and anxiety to life. Initially, the anxiety affects our mind. It then starts agitating our emotions and gradually affects our body parts. In a way, our entire life gets affected with stress and anxiety, bringing some serious medical issues like hypertension, high BP, diabetes, thyroid and heart problems, overweight/ obesity and many more. There are some common symptoms of anxiety which are in regular day to day life is not tractable. But keeping an eye on your daily routine and some change in activities and physical reactions may help you notice about your increasing tendency of anxiety. Symptoms like increased heart rate, hot flushes, increased perspiration and a frequent constant urge to go to the toilet are indicative that the body and brain is suffering from anxiety and stress. Anxiety which starts from brain may easily and rapidly transfers to the other parts of the body affecting the regular metabolism. Today people are actively working towards eradicating it from their life, after realizing its repercussion. Yoga and meditation are some of the best effective way to calm and ease the body from unnecessary stress. In fact, people now days are joining and learning interactive programs for creative mental engagement. And above all, there are some surprising herbs around us to ease our mind and get relieved from anxiety. In recent years, the most commonly preferred herbal solution for anxiety is CBD oil. The cannabidiol oil is a compound found in marijuana plant which soothes the daily anxieties and worries on applying few drops of it. Since, marijuana has been legalized in most of the countries for its medicinal properties, the CBD oil is one of its most essential products. 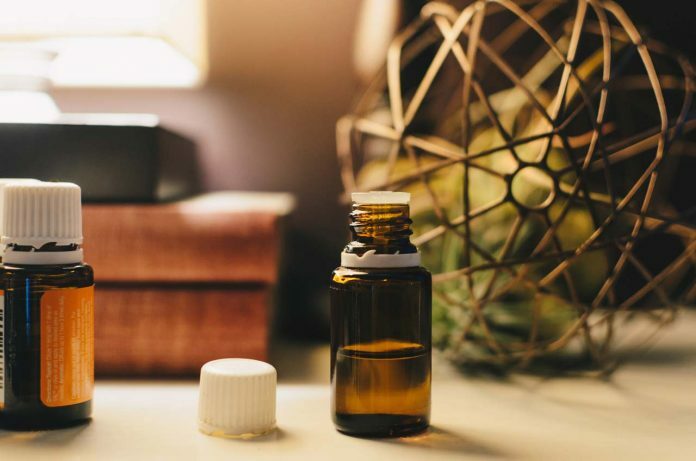 In a scientific research, it has been found that people who are regularly using CBD oil are witnessing lesser stress and anxiety and are gradually thinking positive about their life. For those who are wandering about its properties and effectiveness and the way it functions, it is best to consult some expert. The CBD oil when applied interacts with the endocannabinoid system; generally called the ECS system. The ECS helps in maintaining homeostasis in different types of physiological capacities like sleep, pain, digestion, memory and immunity. The ECS helps in balancing all the functionality of the body organs. It interacts with a neurotransmitter called GABA (gamma-aminobutyric corrosive). GABA helps in travelling messages from one brain cell, or neuron, to another. The messages transferred to the brain decode the meaning as “Back off” or “stop pushing.” GABA instructs the body to calm down all the stimulated processes of the active nerves of the brain which also includes the anxiety nerves, thus gradually soothes the nerves to lessen the stress level. This can also be realized with slowing down the sensory system and unwinding of the tensions in muscles. The body then asks for rest or sleep and both the body and brain see the result of relaxation. CBD oil today is getting positive response from the patients suffering from anxiety. A little of its oil is bringing miraculous results and there are companies like CBD Central which is a good source to get it. The company has their own website where people looking for CBD Oil can directly purchase the product. They can also get all sorts of relevant information from the website. CBD Oil contains no THC so there is no chance of facing tipsiness out of it. CBD Oil can be added to the diet or can also be taken directly through nostrils using a dropper. This is called sublingual ingestion and works very fast since its essence directly goes to the nerves. CBD oil is also odorless and so people allergic to foul or strong acidic smell can also use it safely. To know the answers, you must consider a wide range of factors. The first and foremost thing is CBD Oil helps in curbing the symptoms caused due to anxiety. You must first figure out the reasons for anxiety and should stop thinking about it while taking this medication. The right does of CBD varies from person to person. The amount of stress will define the dose and the duration to take it. The dosage also varies for different age groups. Already ailing people should consult an expert before taking it. A little of meditation and exercise with proper diet is a must. Mind it, it just soothes your nerves but cannot help you in thinking aloud about the reasons for your anxiety. So along with using CBD oil, you must start living happy and positive. Next articleWhat to know before getting reliable residential roof replacement services?